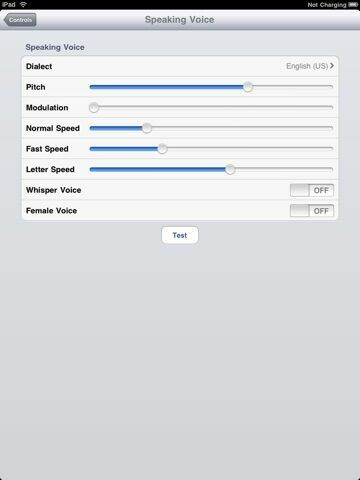 A text-to-speech spelling and talking application styled to emulate the original Speak & Spell. 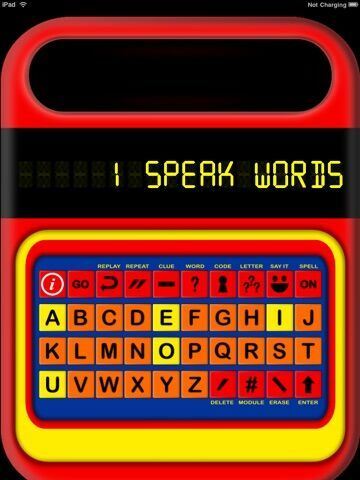 Enjoy hours of fun listening to iSpeak and Spell use voices and dialects from around the world to read aloud anything you type. 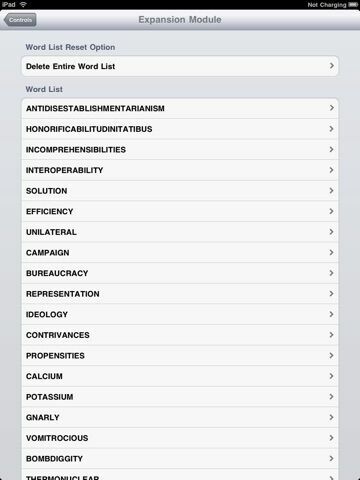 Enter your own list of words (simulating the “expansion modules” of the original) or you can use it with the over 200 words built right inside. 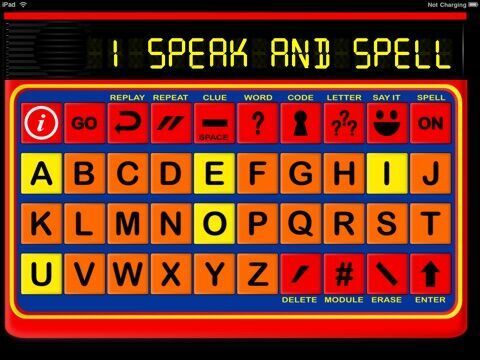 iSpeak and Spell HD will announce the words you've chosen and will incorporate those words into the same fun and challenging activities the original icon of the early 80's offered. All of the word challenge games run in rounds of 10 words each. Just like the original. Before and after each round, you are in “Free Play Mode” where you can type anything you want and listen to iSpeak and Spell say it. After each round of word challenges, iSpeak and Spell HD reports your results and then uses that information as it creates new word lists for each new round. 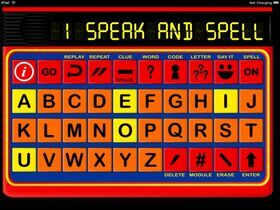 iSpeak and Spell HD detects which words seem to be giving you the most trouble and will repeat those intermittently through each round. 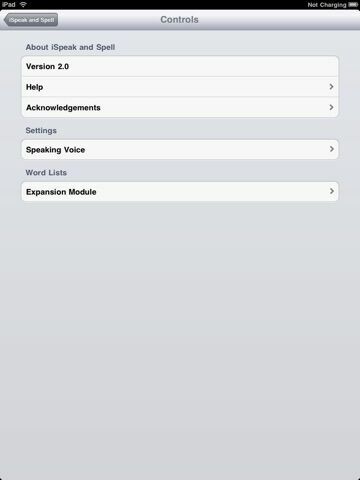 ** Note that because iSpeak and Spell is retro-styled for the nostalgic at heart, it does not currently support international keyboard characters.